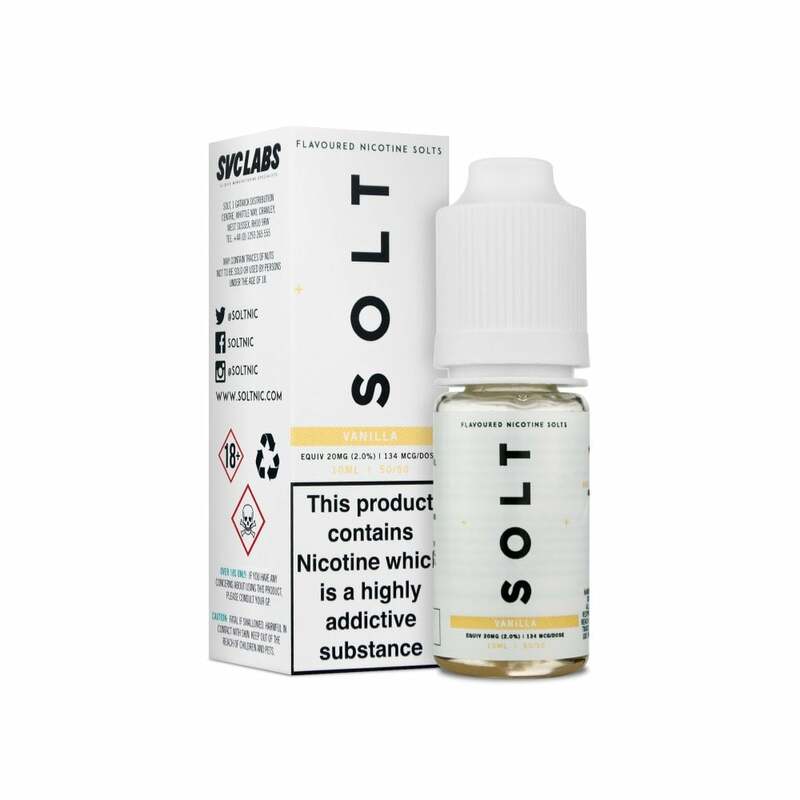 If you like your dessert vapes with a nic salt twist, SOLT Vanilla is a must-try. A creamy vanilla custard e-liquid with a subtle sweetness, SOLT Vanilla is great both as an all-day vape and an after-dinner treat. My favourite flavour by far! Amazing smooth flavour that that tastes of genuine vanilla. Not too sweet and the hit is great. Highly recommended. Just bought Solt Vanilla. Lovely smooth taste with the incomparable nicotine salt effect. I've tried a few others in the nicotine salts range, but I like this one best so far. The bottle is easier to open, too.